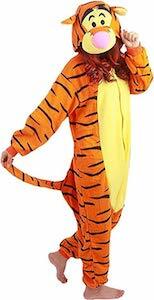 Now there is this fun looking Tiger Onesie Pajama. The onesie pajama is available in unisex sizes Small – XL and they will look amazing on both men and women. 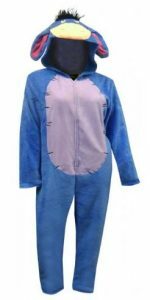 Just lounging around, cosplay, Halloween, sleeping, or maybe going shopping this onesie is what you should be wearing. The pajama is orange with tigger stripes in black and the chest is yellow just like the Tigger we all know from Winnie the Pooh. And to make it even more real they added the face to the hood and that does include sticking up ears and there even is a tail on the back.